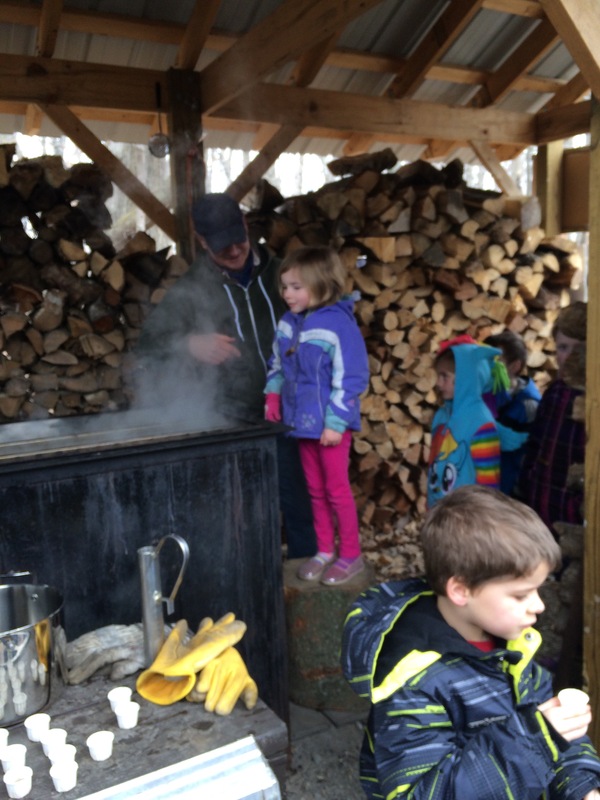 Recently, we made our way to a local county park for a field trip to learn how maple syrup is made. Ever since reading Little House in the Big Woods, by Laura Ingalls Wilder, I have been fascinated by the process. It was even more fascinating to walk through the process in person! 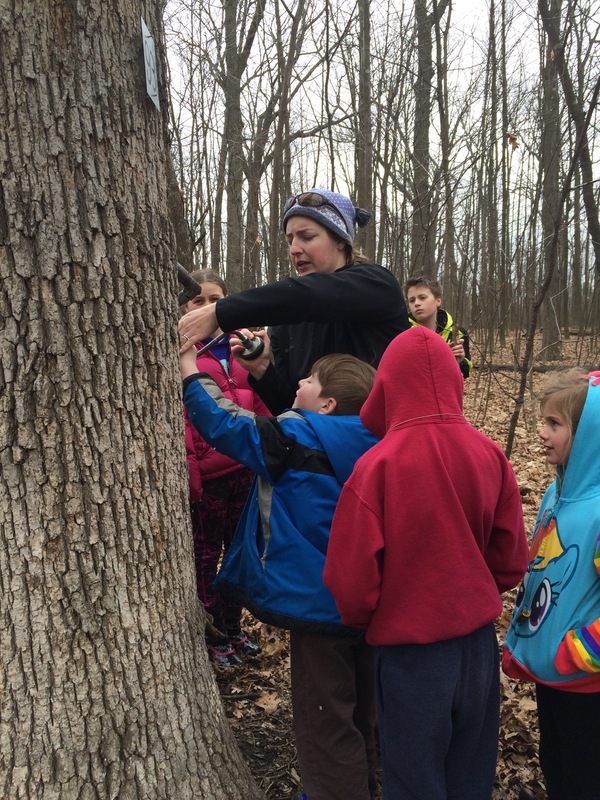 Our guide shared the Native American legend of how maple syrup was discovered and demonstrated how the Native American extracted the sap from the trees with spirals made from sumac branches. Sarah uses a metal tool to push out the heartwood of a sumac branch to make a spial, just like the Native Americans would do. We walked through the woods and talked about different ways to identify maple trees: gray bark, the shape of the leaves and the helicopter seeds (both of which would not be helpful in the winter months because they are absent from the branches), opposing branch patterns, mustaches, and belly bottons from previous tappings. The kids had a great time searching for animal tracks in the mud and learning how to determine when it was the right time to start tapping the trees. Gideon takes a turn drilling for the spial. 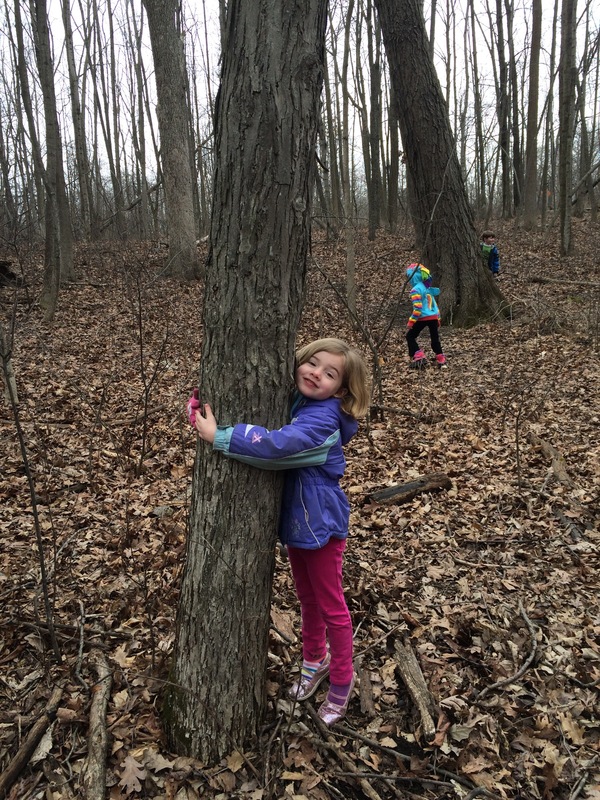 Our guide taught us that we should be able to hug a tree without touching our elbows- if we can do that, the tree is big enough to tap. She then allowed the kids to take turns drilling a hole for the spial. After placing the spial, a bucket or blue bag is hung to collect the sap. 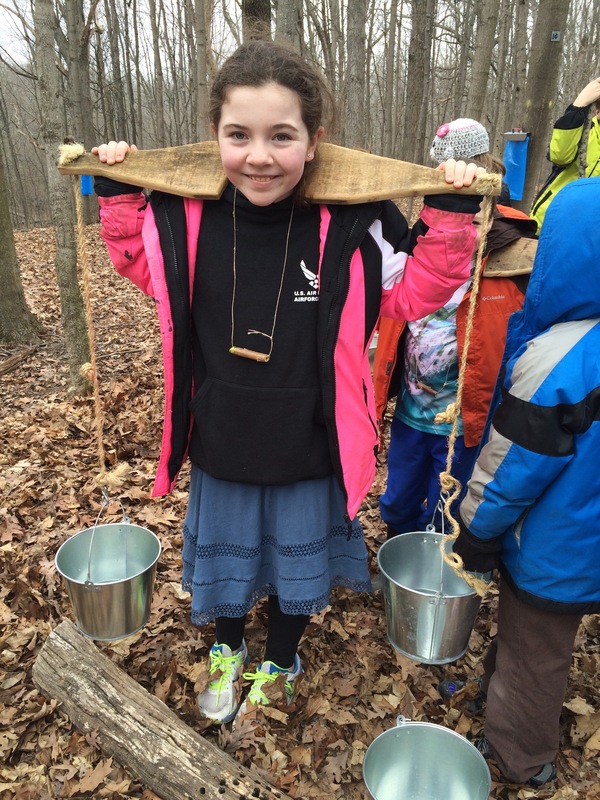 Hannah uses a yoke to carry buckets of sap to the evaporator. Once the sap is collected, it is taken to the evaporator. It takes approximately 30 gallons of sap to make 1 gallon of maple syrup. It takes several hours of heating the sap for it to condense down to syrup. When the sap is taken out of the tree, it looks just like water and is barely sweet. But as the water evaporates out of the sap, a caramel color appears and darkens, revealing the sweet syrup. We enjoyed tasting before, during and after the evaporation process! Izzy peers into the evaporator. After the sap is evaporated down to syrup, the syrup is cooled and bottled. We were able to taste test some of this wonderful syrup over a pancake lunch. Delightful!! 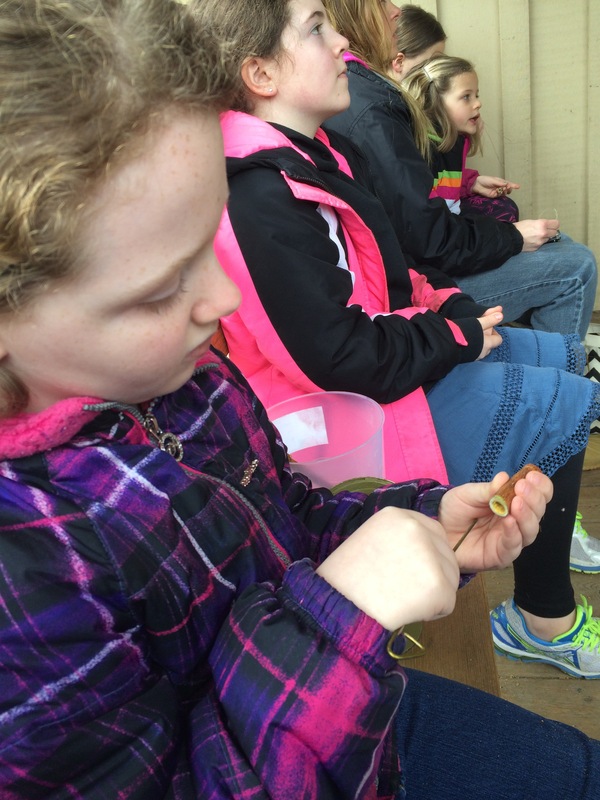 What are your favorite field trips to do with your kids?